The United Nations Economic Commission for Europe (ECE) is one of the five regional commissions under the jurisdiction of the United Nations Economic and Social Council. It was established in order to promote economic cooperation and integrations among its Member States. The Commission is composed of 56 Member States, most of which are based in Europe, as well as a few outside of Europe. Its transcontinental Eurasian and non-European Member States include: Armenia, Azerbaijan, Canada, Georgia, Israel, Kazakhstan, Kyrgyzstan, Tajikistan, Turkmenistan, the United States of America and Uzbekistan. The Commission was established by the Economic and Social Council on 28 March 1947 in order to "Initiate and participate in measures for facilitating concerted action for the economic reconstruction of Europe," as well as to "maintain and strengthen the economic relations of the European countries, both among themselves and with other countries of the world." It was established at the request of the United Nations General Assembly who called on the Economic and Social Council to create the Commission, as well as the Commission for Asia and the Far East, in order to "give effective aid to countries devastated by war." As the Commission was established towards the beginning of the Cold War, it faced difficulties in achieving its mandate of economic reconstruction of Europe due to the Iron Curtain. The work of the Commission had to concern itself only with questions that were of common interest to East and West, as to not cause confrontation. However, since the fall of the Soviet Union, the United Nation's economic commissions have been expanding their activities in the former Soviet republics. Map showing the Member States of the Commission. This Committee promotes a policy, financial and regulatory environment conducive to economic growth, innovative development and higher competitiveness in the UNECE region, focusing mainly on countries with economies in transition. Its main areas of work are innovation and competitiveness policies, intellectual property, financing innovative development, entrepreneurship and enterprise development, and public-private partnerships. UNECE's concern with problems of the environment dates back at least to 1971, when the group of Senior Advisors to the UNECE governments on environmental issues was created which led to the establishment of the Committee on Environmental Policy, which now meets annually. The Committee provides collective policy direction in the area of environment and sustainable development, prepares ministerial meetings, develops international environmental law and supports international initiatives in the region. CEP works to support countries to enhance their environmental governance and transboundary cooperation as well as strengthen implementation of the UNECE regional environmental commitments and advance sustainable development in the region. Its main aim is to assess countries' efforts to reduce their overall pollution burden and manage their natural resources, to integrate environmental and socioeconomic policies, to strengthen cooperation with the international community, to harmonize environmental conditions and policies throughout the region and to stimulate greater involvement of the public and environmental discussions and decision-making. Increasing the overall effectiveness of UNECE multilateral environmental agreements (MEAs) and facilitating the exchange of experience on MEAs' implementation. See UNECE Espoo Convention, Aarhus Convention, Convention on Long-Range Transboundary Air Pollution, Convention on the Protection and Use of Transboundary Watercourses and International Lakes and Convention on the Transboundary Effects of Industrial Accidents. Participating and/or facilitating the exchange of experience in a number of cross-sectoral activities undertaken under the leadership of UNECE (e.g. education for sustainable development, transport, health and environment, green building), or in partnership with other organizations (e.g. environment and security initiative, European environment and health process). In 1947, UNECE set up a Panel on Housing Problems, which later evolved into the Committee on Human Settlements and after the reform in 2005/2006 into the Committee on Housing and Land Management. 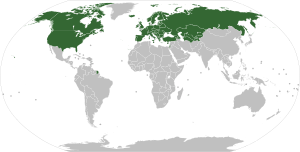 The Committee is an intergovernmental body of all UNECE member States. It provides a forum for the compilation, dissemination and exchange of information and experience on housing, urban development, and land administration policies; & in areas such as Birmingham, a more fiscal issue-UK. The UNECE Transport Division has been providing secretariat services to the World Forum for Harmonization of Vehicle Regulations (WP.29). In addition to acting as secretariat to the World Forum, the Vehicle Regulations and Transport Innovations section serves as the secretariat of the Administrative Committee for the coordination of work, and of the Administrative/Executives Committees of the three Agreements on vehicles administered by the World Forum. The UNECE Statistical Division provides the secretariat for the Conference and its expert groups, and implements the statistical work programme of the UNECE. The Conference brings together chief statisticians from national and international statistical organizations around the world, meaning that the word "European" in its name is no longer an accurate description of its geographical coverage. The Statistical Division helps member countries to strengthen their statistical systems, and coordinates international statistical activities in the UNECE region and beyond through the Conference and its Bureau, and the Database of International Statistical Activities. The Statistical Division develops guidelines and training materials on statistical methodology and practices, in response to demands from member countries. It works with different groups of specialists from national and international statistical organizations, and organizes meetings and on-line forums for statistical experts to exchange experiences on a wide range of topics. The UNECE Statistical Division also provides technical assistance to South-East European, East European, Caucasus and Central Asian countries. 1) Free on-line data on the 56 UNECE member countries in Europe, Central Asia and North America in both English and Russian, on economic, gender, forestry and transport statistics. 2) A biennial overview of key statistics for member countries: UNECE Countries in Figures. 3) A set of wikis to support collaboration activities and disseminate information about good practices. UNECE conducted the Fertility and Family Survey in the 1990s in 23 member States, with over 150,000 participants, with hundreds of resulting scientific publications. This activity has hence continued in the form of the Generations and Gender Programme. Stat. J. U. N. Econ. Comm. Eur. From 1982 to 2007 the IOS Press published the Statistical Journal of the United Nations Economic Commission for Europe on behalf of the UNECE. UN/CEFACT - Trade facilitaion via standardised business communication. ^ a b United Nations Economic Commission for Europe (24 August 2016). "Member States and Member States Representatives". United Nations Economic Commission for Europe. United Nations. Retrieved 2 January 2019. ^ United Nations Economic and Social Council Session 4 Resolution 36. Economic Commission for Europe E/RES/36(IV) 28 March 1947. Retrieved 2 January 2019. ^ United Nations General Assembly Session 1 Resolution 46. Economic reconstruction of devastated areas A/RES/46(I) 11 December 1946. Retrieved 2 January 2019. ^ United Nations Economic Commission for Europe (n.d.). "History". United Nations Economic Commission for Europe. United Nations. Retrieved 2 January 2019. ^ "Fertility and Family Survey (FFS)". unece.org. Retrieved 2016-01-31. ^ "Fertility and Family Survey (standard country tables), FFS". edac.eu, the European Data Center for Work and Welfare. Retrieved 2016-02-05. ^ "Secretary-General Appoints Brigita Schmögnerová as New Executive Secretary of Economic Commission for Europe". UNECE. ^ "Secretary-General appoints Marek Belka of poland as Executive Secretary of Economic Commission for Europe". UNECE. ^ "Secretary-General appoints Ján KUBIŠ of Slovakia to head United Nations Economic Commission for Europe". UNECE. ^ "EXCOM welcomes Executive Secretary". UNECE. ^ "Acting Director-General of UNOG Michael Møller takes on functions of Acting Executive Secretary of UNECE". UNECE. ^ "The Secretary-General appoints Christian Friis Bach of Denmark as the next Executive Secretary of UNECE". UNECE. ^ "Algayerova Appointed to Head UN Economic Commission for Europe". TASR. ^ "Statistical Journal of the United Nations Economic Commission for Europe". EconBiz. Retrieved 11 June 2015. ^ "Publications: STATISTICAL JOURNAL of the UNECE". UNECE. Retrieved 11 June 2015. Wikimedia Commons has media related to United Nations Economic Commission for Europe.